Renowned historian and bestselling author Alice Morse Earle provides a vivid portrait of the daily lives of America's early settlers. 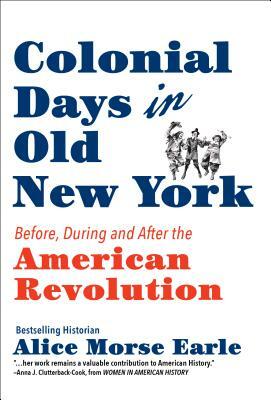 From childhood to old age, from courtship and weddings to crime and punishment, from what they ate and drank to sports and entertainment, you'll discover what life was really like in America's colonial era. With a mix of anecdotes and intimate details, Earle brings America's bygone days to life. Earle is an acclaimed historian of America's colonial era. In the past many scholars dismissed her work, often because she was a woman, and her books focused on the details of everyday life. Since then she has earned her place as a one of the primary sources of America's early social history.